Is this man lacking in common sense with total disregard to his safety and to those around him? I took this photo while riding along College Street. 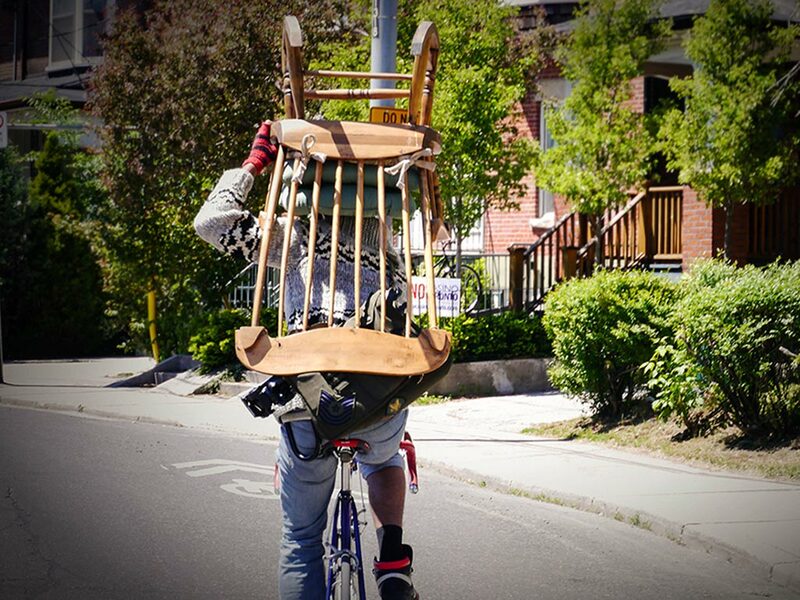 It’s unusual to see a bicyclist in Toronto carrying an object with one hand on top of his head, especially along a major artery in the city. Personally, I applaud his efforts to improvise. It would be noteworthy to also mention that he had help from another rider who used a bike bell to clear the path. To his credit, he made it to his destination just a few blocks ahead.